Christmas morning isn’t complete without a glass of orange juice topped with champagne (wine glasses, not champagne flutes because who has time for refills on Christmas?). This year I decided to switch things up with a Raspberry Peach Mimosa. To be completely honest I’m not sure if this is a mimosa or a bellini; maybe it’s a belosa or mimini? Either way it has bubbles, peach and citrus. While wandering through the liquor store looking for ridiculous bottles of wine for my Mom and her boyfriend I stumbled upon a bottle of peach moscato. 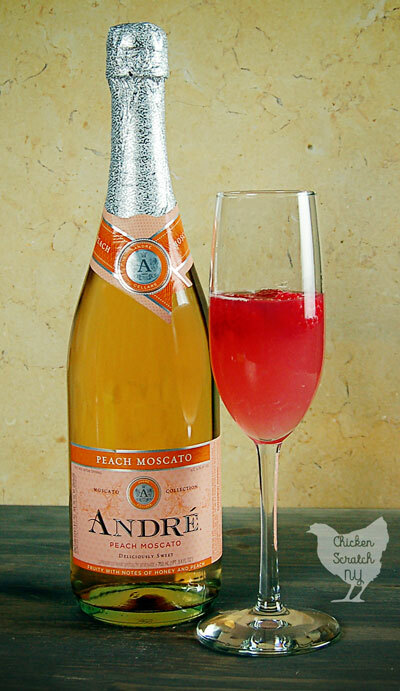 Moscato is a bubbly or sparkling wine like champagne but it’s not from Champagne but it’s basically champagne. If you’re wondering I picked up a bottle of Miss Behavin for my mom’s boyfriend, I got him a bottle two years ago as a joke but he loved it so I get him one every year. My mom got a bottle of Redneck Red. That’s a new one but the bottle was too funny to pass up. Even if she doesn’t like it my boyfriend bought her a bag of Red Cat so she’s set! Back to the mimosa. While I was sampling the peach moscato and wrapping gifts it hit me that I needed to fancy it up a little. And what goes better than peach and raspberry? I thought adding in a bit of lemon flavor would balance out the sweetness nicely. Try to find a raspberry lemonade on the tart side. 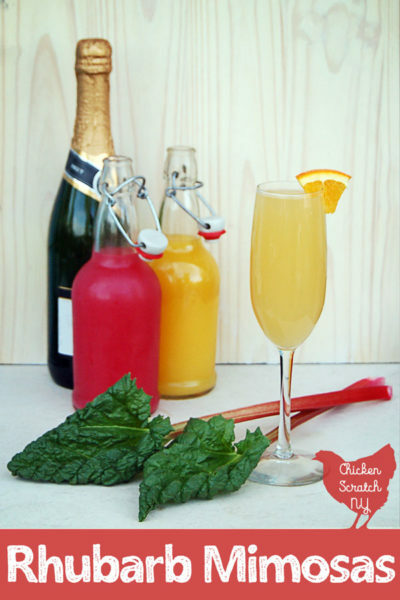 Bubbly drinks are pretty on their own but everything looks better with a garnish. I found some beautiful raspberries that only cost one arm and 1/2 a leg (great bargain for December!) and sliced up a few more lemons. The raspberry peach mimosa’s are so bright and refreshing. I know we won’t save them just for Christmas, they’d be perfect for Mother’s Day or any time you need some bubbles. 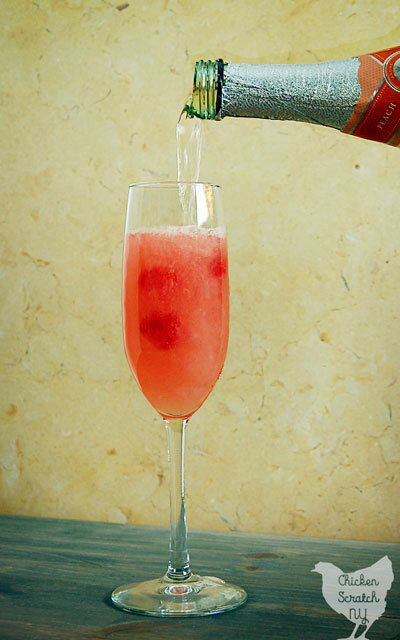 Have you ever tried flavored champagne? Raspberry Lemonade, I used Simply Real, get something good! 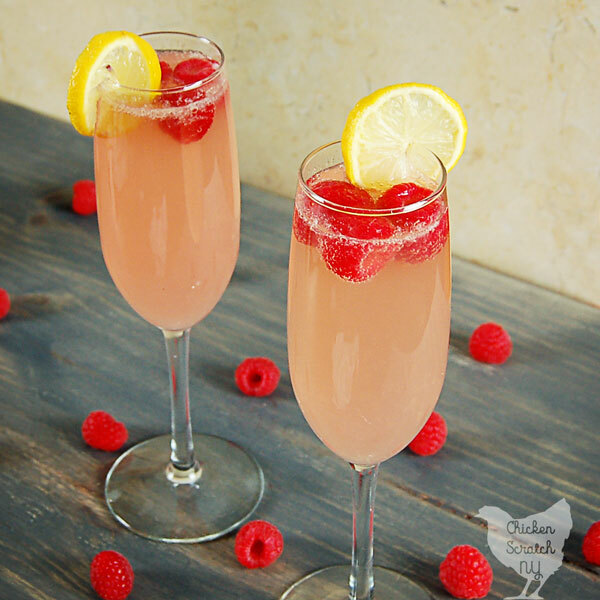 Give your mom a mimosa and a hug to celebrate! 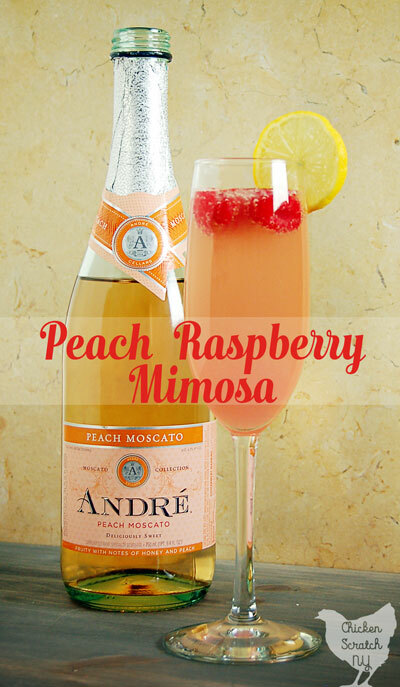 We´re also big fans of mimosas in my family and this looks delicious! Easy to make and a beautiful presentation, make these on the weekend for brunch!